SEE YOU NEXT WEEK …INSERT NAME _____. Being supermarket loyal sure does exist. In fact one of my wife’s friends who is single doesn’t even go to the traditional supermarket. What she does is she goes to a local produce store which also has full section of pre-made meals. The best part is she can walk to the shops from her apartment which is also a bonus for her. Transportation reasons is a perfect example why some people may be supermarket loyal simply because it’s easier to shop there than going to another store further away and having to find an alternate means of transportation. She told my wife she has no need to go to the big box grocery stores when she hardly cooks and the pre-made meals are perfect for her. The store has everything else she needs including milk and conveniently a bakery right next door so being supermarket loyal to her means that she has everything she needs in one spot even if it’s a few shops next to each other. I’ve come to realize that everyone is unique when it comes to grocery shopping habits based on what their own personal needs are. 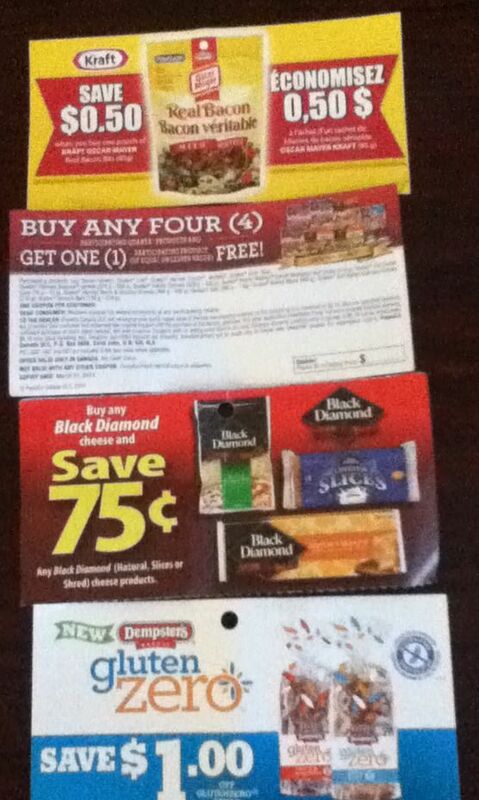 Not everyone loves to cook nor does everyone care to use coupons or look at weekly sales in the flyers. What I do know is that people love to remember excellent customer service and for many this is what drives them back as loyal customers wherever they shop for food. We are loyal to pretty much all of the big box supermarkets in our city and every so often we may drop into the local Asian, Greek and Italian markets. We don’t always buy something but we like to have a look around to see what’s new and compare prices to the bigger shops we go to. If you are like us you enjoy cruising around town and picking up all the bargains you find in the weekly flyer. You may even go a step further and match those flyer deals with coupons that you either found in-store, ordered online or was given by the manufacturer. 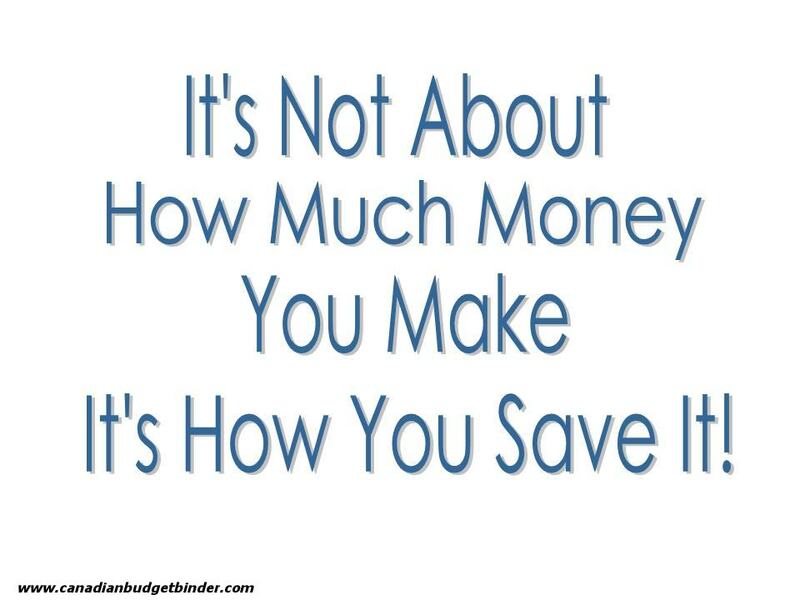 Money savings is very important to us especially when it comes to grocery items so going to more than one shop is what we do every week. The supermarkets we do frequent are all in the area of one another so we aren’t going so far. With only Wal-Mart and No Frills price matching in our area we don’t always need to go into those shops but do price match when we can. As you will see with this weeks grocery shop for example we spent money at Metro which we find lately we have been going to more often. The reason is because Metro gets the best vegetables or the A grade products to sell and although they are without a doubt pricier than any of the other supermarkets we go to they are high quality products. If the Metro flyer has fruits and vegetables on sale for a competitive price in comparison to the other supermarkets we won’t price match we will go right to Metro. I can remember growing up in the 70’s and 80’s going grocery shopping with my parents in our village which only had the one grocery store. Mind you the next village was just around the corner and much bigger with many more shops that we could have easily gone to but hardly ever did. In some villages not only would you have a grocer but you would might find the butcher and the bakery etc all on one stretch of road where everyone meets up on the weekends or randomly during the week to pick up some bits and bobs. You see over the years you come to bond with the employees who work in the grocery store. There wasn’t a time when someone in the grocery store would not stop my parents to greet them by name and vice versa. Relationships at the grocery store with the people who serve you goes a long way. This is just another reason I always read the employee name tag at the supermarkets we go to so I get to know the staff by name. I’m not afraid to smile and have a conversation either, nor let them know they are doing a good job. When you receive service from employees who go above and beyond for you it’s hard to imagine yourself shopping at another grocery store. In fact some people almost feel guilty when they do as if they are betraying the supermarket they frequent on a regular basis. Some of these smaller grocery stores are independent and run by a family so the money stays in the family. Every dollar counts so making sure they retain their customers is a priority just as important as bringing the freshest quality products into the store. We might not stick to one store these days but you can bet I do my best to make sure that the people who do serve me on a regular basis know how important their role is and how much I appreciate them. 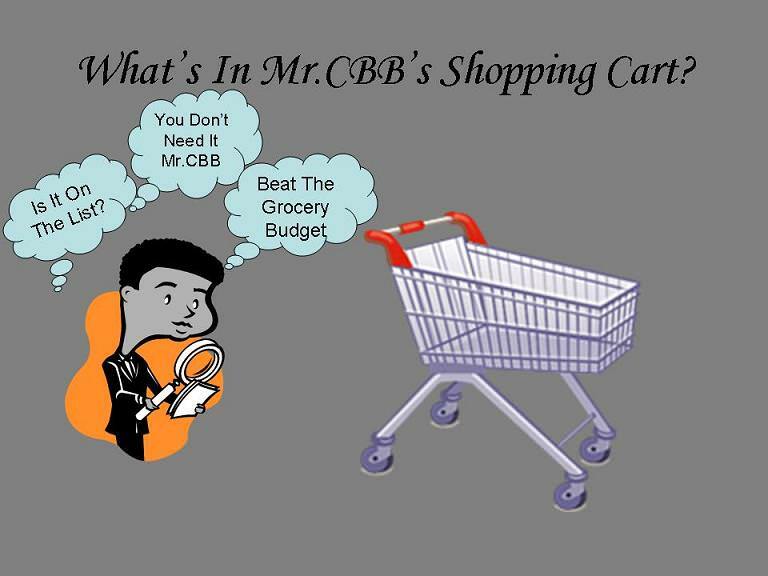 Are you stuck in a rut or is it because you are familiar with the store layout and know where everything is. I know many men who would rather go to the same supermarket every week only because they don’t have to think when they go inside. Most men I know are very much so supermarket loyal and for most its for their own reasons but other reasons are simple enough to factor out. Let’s be honest and say that most men aren’t big fans of grocery shopping so familiarity makes the experience less painful. I’m sure you’ve seen men in the grocery store who look completely lost but over time once they get used to it they don’t want to go through that same experience all over again if they don’t have to. I’m sure the same could be said about some women as well who don’t fancy grocery shopping. They’d rather be at the mall shopping for new boots over buying produce to stock the kitchen. The grocery game challenge Jan 6-12, 2014 #2: Does a product name entice you to buy? Everything you want to know about grocery shopping in Canada is below with new information added monthly. 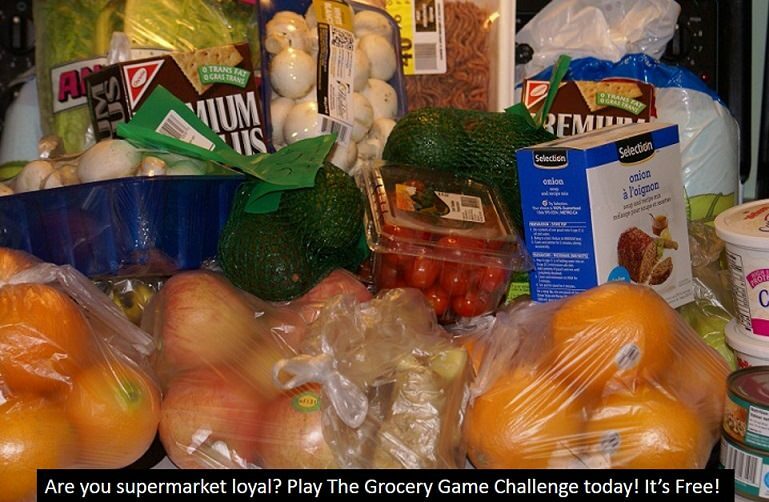 If you missed a Grocery Game Challenge post some of the most popular posts are listed below. If you know a topic that should be discussed, speak up. I want to know. Happy reading. Weekly Overview: Well we went over budget for the month of January but thankfully not by much and next week is a no shop week for us which is fine as we are well stocked up. Well not much time or need to shop while our little miss is still in the nicu. I thought i had posted last week :S but i am not thinking that i might not have hit the post comment button :S and i threw out my receipts….Oh well…..I’m pretty sure it wasnt for much. When it comes to being super market loyal yes i tend to stick to one store more than others. I love the zehrs in our town because their produce and meat are always fantastic…they always have deals in store and the people that work there are fantastic. The other grocery stores in town are ok…but i tend to only go there if they have store specific deals which are great. It’s been a good shopping week. I try not to think about how close I came to the $60 this week as I got some fabulous deals, some were just great sales, convenience items for going back and forth to hockey, and some stock up items. I love at this time of year the Chinese sauces are on sale with the Chinese New Year, and I always get a jar of the items we use the most for our shelves. However my best buy was No Frills, saved a large amount of money on things we normally buy and with the blueberries, we don’t buy a lot at this time of year due to the expense. With only 1 week left to go for the month, it’s looking good for us to come in under budget. Crossing my fingers! And the flour was 2 kg, not 1, lol! Welcome Back 🙂 for another week of the Grocery Game! There you go, over for the week this week but still well under for the month. Actually if this was a 4 week month I’d still be under but things have to stretch a little farther as it is a 5 week month. I was happy to get the meat pies, bread, hand soap, and the roast on sale. I got enough meat pies for 4 meals for the four of us. That roast was 3 meals. Stuart got some cat food as he was on the last of it and that coupon was so nice to have!!! He prefers Whiskas but this was there and just as good a deal once coupons were factored in. The variety will be good for him. He has his Temptations for being a good boy so he’s happy. This has been a good start for the year and I am happy with things so far…. You certainly love that Method soap. I know for the longest time we had coupons for Method but never bought the product. I’ll keep my eyes peeled now that i know one of my fans likes the products. You also are a pop lover so that’s another coupon to be on the lookout for but you tend more to find them on the pop boxes than anything which works out great for your budget. I get the Method hand soap mostly because I have excema and dry sensitive skin and it doesn’t irritate my hands like some soaps do!!!! Things like hand and body lotions are a need here, not a want. I can scratch myself raw if things get too dry. Stuart wasn’t looking too impressed with his Iams but this morning he was paying a lot of attention to me getting up!!! Found out why when I got downstairs….his dish was empty!!! It was good of your relatives to take in the stray, clearly somebody turned their ‘pet’ out into the cold!!! If the cat was feral there is no way it would have gone into the house. Most of our cats over the years have come for the Humane Society. I think our first came from a friend and their cat’s kittens and one came from hubby’s aunt as this kitten was being picked on by other cats in her home. All our cats have been spayed/neutered. It’s a condition of life with us…And our cats stay inside, it’s so much safer and healthier for them to be inside cats. I have made my own oven fries, but the ones I got are for the really rushed days when I am going in a number of directions at once!!! I don’t drink coffee so tea is my choice of beverage!!! Thanks Grandma!!!! So far I’m under for the month still but I hope to stay there. This week went over so I’m trying to keep it cheaper this week…..Time will tell. Nice start to the year Christine! Are you going to carry the available funds forward? Thanks Mary… Yes I think I might because there will be those months when I go over, much as I try not to. Call it my emergency grocery fund if you will…Lol!!! •Weekly overview: I’m over by $13.58 for the month 🙁 I did stock up on a few things this week that if I hadn’t stocked up, I wouldn’t have been over. I had run out of my favourite pasta sauce and it finally went on sale, we were out of bottled water so I got 3 since it was on sale, I got 3 vaseline lotions for a phenomenal price (I go through tons of that stuff lol), lots of cheese slices for Adam (two 48 packs) and 6 pink sticker almond milk for Adam. Perhaps I need to add the stockpile budget like you do Mr CBB? That would have saved me this month lol. I tend to shop at Loblaws chains. I like NoFrills for their prices and during the summer the selection of fruits and vegetables are great but this time of year it seems like a slum store. So I price match at Superstore. Our Freshco is nice here but I live 70km for any of these stores and my time and gas need to be used wisely. There is a Shopper’s right across from the Superstore. So if milk is not a good price at Superstore I walk to Shopper’s. I get coupons through email from Shoppers each week and sometimes milk is as cheap as $3.66 a bag.I like that both stores have point cards. What I don’t like is the size of the stores. Its a workout some days!! The town near us has a Foodland. Its a lovely store and great to pick specials or things I missed during the week. but they are pricey. Like Mary I stockpile a lot. Mostly because the distance I need to drive. I have it for ” That what if factor” ( ice storm, power outage). I have a huge cold cellar in the basement lined with shelves for canning and bins for vegetables.The root veggies from the garden are being put into stews and soups right now. The apples into sauce as everything is beginning to go punky. # Weekly Overview: I’m over again this week. I seem to have a full freezer but little in the way of meat that won’t take forever to cook like turkey and full chickens. I have to sit down and have a day where I just cook. I am finding rising prices in fruit, vegetables and anything to do with baking. Did a lot of price matching this week. A little discouraging but I’m not in the hole yet!! A note that the last two weeks I entered a comment I had the wrong weekly price down. I had it at $70.00 a week, but in fact it is $85.00 a week I am allowed to spend. You can see the breakdown of what I bought on my blog. I know what you mean about big items to cook Lynaka. I was just thinking this morning that I need to start cooking up some of the roasts/hams/turkey I have in my deep freeze. I have two grocery stores we most of our shopping, and the others for sales/specials. They are all within 10 minute drive, so no big deal. When I was growing up the 60s & 70s we lived in a small village, and we had 2 general stores, and a butcher. My parents did all their shopping there, as the nearest town was 30 minutes away. Going to town, was something you did when you went to the dentist..rarely. They had a running bill, which they paid off every payday, so I’m sure that had a lot to buying their groceries there. Small community and everyone knew everyone. My mother was very brand loyal..which I’m not. I’m in the same boat as your wife’s friend in that I go to the one store because it is right across the street from us!! I can walk over and walk home with no problem. If I’m getting more than I can carry in one trip I can just leave the second load right by the cashier and come back for it. Or I just bring the boys with me and they help carry everything.The fact that the prices there are better than the other grocery store in town helps too. I can get better prices if I go out of town to shop but I haven’t yet this year. I can understand why the friend shops the way she does as it is hard to make meals for one person…..Her way there is less waste in the long term, I’m sure. We are in a small town as you know and it’s works out much like when you were young shopping with your parents, you see people here and there that you know from somewhere else. Gossip Central here tends to be the Post Office as everyone goes there to get the mail!!! Here the owners of both grocery stores are involved in the community in various ways and we all know about it. Stories and pictures tend to show up in the two weekly newspapers. I’m on a first name basis with half the staff at my grocery store. I don’t know all of the students but I’m getting there. It was better when the kids were all at home as I knew the students working as kids that went to school with my kids!!! It can be quite the gossip-fest getting my groceries!!! I was thinking of you when I wrote that post because I know you have the shop across the road and you go there. Many people who live in the smaller towns do the same and do get to know the entire staff by name. I know when you get to town you can find some greater deals but it’s only when you get in and not something you always do. Yes, I’m a supermarket loyal! I really love going to supermarket picking ingredients for my menus. I do that once a week and I tried to buy all the necessary stuff that I’m needing. Well it sounds like you know what you want and where to get it when it comes to the food you purchase, Good for you Clarisse. I usually stick to three stores for my groceries — one primary, inexpensive (relative to NY prices), close store; an ethnic market for bulk, dry and pickled foods, and Amazon for big purchases. A sale has to be pretty spectacular — or at least scalable — to makes it worth the extra trip when everything has to be hand-carried, walked, transported by subway, and taken up stairs. Transportation is a main concern for many people and why they may only have 1 main store they go to. This week we are working what’s in the fridge, freezer and pantry. We are well stocked but I may need to do a few ingredient substitutions to make it all work. That’s okay… I rarely follow the recipe EXACTLY anyway! It’s a standing joke at our house that the printed recipe on the counter may/may not even remotely resemble what’s for dinner! LOL Hubby knows to ask me what I need next… I have doubling, substituting, adding/subtracting of ingredients all in my head. I thought I could get away with a “no shop” week this week – but hubby ran out of his lemon juice for his morning tea. What a grumpy hubby I’d have with no morning tea! It was an absolute necessity to buy his lemon juice. LOL Did you notice my free sweet treats that we won in the Safeway scratch and win contest?? Sure I love treats, but I really love FREE treats even more!!! Also, I have about $50 cash in my purse leftover from Christmas so I gave hubby $3 of it to get 24 x 100% whole wheat crusty rolls at Safeway to go with all the soups I have planned this week. I am coming clean here in the remarks section because that $3 was not part of our grocery budget but he did scoop himself one devil of a good deal! 1 x Nestle Smarties ($1.29-$1.29 Store Contest Coupon) = FREE! 1 x Aero Peppermint Chocolate Bar ($1.29-$1.29 Store Contest Coupon) = FREE! 4 Butcher’s Cut Side Bacon @ $8.99 (Good until March 19th) – SECOND RAIN CHECK !!!! 2 Butcher’s Cut Beef Sausages 500g @ 2 for $5.00 (Good to March 6th) – SECOND RAIN CHECK!!!! Mr CBB, the cash in my purse was my little bit of cash leftover from my Christmas gifts budget. I am not adding it to the hiding spot cash because I am planning to use the rest of the cash to have a zipper replaced at the seamstress. I am glad the freezers were totally loaded coming into January as it has made really very small shops possible this month because I have been making a lot of soup. January to April are HUGE soup months around here! It makes one pack of meat last a whole week! Remember when I hit the Dollar Daze and stocked up on the evaporated milk cases last year? They have been a godsend for my soup making this month! In fact, I have a creamy chicken rice soup that I am making tonight that calls for an evaporated milk & that soup will give us enough for 2-3 meals each. As long as I have celery, carrots & onion… we are good to go. I am still using up the 20 lbs of carrots and onions I got on the sale at Thrifty’s in mid-December. I have about 10 lbs of carrots left but the onions… maybe only another dozen. 🙁 I am keeping my eyes peeled for another really good sale on celery and onions… then I will stock up again. I am getting better at my soup making innovations… I’ve discovered that the evaporated milk mixed with a little rice flour makes a great creamed soup thickener and if I have any leftover sour cream… I toss that in because it’s another way to add real creaminess without worrying about picking up either half-and-half or whipping cream. Pureed canned beans is a high protein way to add creaminess plus it’s also a thickening agent. Where I am really seeing a drop in my supplies is the beef/vegetable/chicken stock. I am down to maybe one case total left. Eeeek!!!! I have my eyes peeled for upcoming case lot sales on assorted stocks and diced tomatoes. We make lots of soup in January and February as well and having the carrots, celery and onions on hand is imperative. I am finding though that the celery is quite pricey during these months but carrots and onions are reasonable. Where do you store your onions and carrots so that they last longer? I’m always afraid to buy such big bags for the two of us. That’s a good idea with the celery. I might just do that next time it goes on offer. I know one year we loaded up on peppers when they were some ridiculous price like $0.66lb and I washed, chopped and froze them all. My wife loved that and so did I as it was easy to just pull out a bag and use whenever we needed it rather than paying the high prices in the winter. I am very loyal, because there is only one supermarket in town 🙂 otherwise I’d go for the best deals and probably make two stops. Well there is a smaller supermarket but it caters more for tourists so it’s more expensive, although I go there sometimes to buy cheese or other imported products. It is great to know it’s there, even for a couple of shops per year. Oh I bet it’s expensive if it caters to the tourists. You sometimes take the bus to get big shops, do you still do that?